What are these? It’s basically free money, just for entering in codes. This is a fast and easy way to accumulate points with InstaGC codes. If you’re on instaGC, you should be doing their codes. 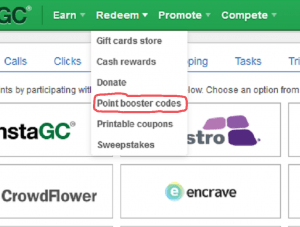 InstaGC calls them InstaGC Point Booster Codes. They usually have a code every one to three days or so, so check back often. 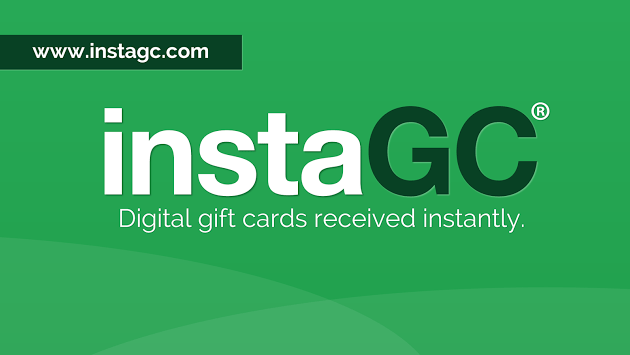 By entering these Instagc codes every time they come out you can accumulate points very fast. Way quicker and better than filling out surveys. The codes are only good until the next code comes out or a day or two, then the old code is not redeemable. You can also check out my reviews on instaGC, my more in-depth review Is instaGC A Scam? or my quick review on instaGC at Earn Money From Home. So check back often to start racking up them points. If you don’t have an account with instaGC, you can sign up. You will receive a bonus of 10 points, just for signing up. 1. To enter a code, go to the top of any page within Instagc, there is a Redeem tab. 2. Hover mouse over it and scroll down to Point booster codes and click it. 3. Then enter the code and click the redeem button to the right. Or Just Click Enter instaGC Codes. InstaGC Booster Code Where to find it. You can copy it straight from instaGC Twitter feed or copy it from below under Recent instaGC Booster Codes. If You Love Using instaGC, You Have To Check Out This!!! I highly recommend you check out Dealspotr. It’s easier and takes less time than survey site. Sign up to check Dealspotr out and give it a try and read my full in-depth review here What Is Dealspotr About? 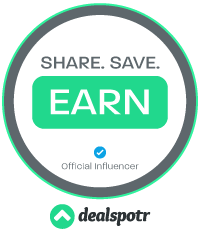 Or How To Become An Influencer At Dealspotr. Did I mention if you own a blog they will pay you $35.00 just for joining a writing a review? You need a special Influencer code, to get one just email me at dan@highlandermoney.com or leave a comment below with email address. I have been at Dealspotr for less than a month and made $50.00 easily. instaGC Booster Codes are a free and painless way to substantially help you reach your cash out goal at instaGC. A little side note here, I’ve noticed every so often, my twitter feed doesn’t show up anymore, so I have to go back to Twitter and just recopy the code as mentioned above and paste the new code over the old code. I hope this page makes it easy to start racking up the instaGC Point Booster Codes. It’s very easy. Good luck! If you have any comments or question, please feel free to comment below. Thanks. paying $35.00 just for joining a writing a review. which need a special Influencer code? Can you give me the code please. The $35.00 is for writing a blog about Dealspotr. It’s really simple to earn money with them. You can checkout and read more about it here on how to become an influencer.